Tough and roomy gear bag, made from hardy industrial fabrics. Available in 3 convenient sizes- small, medium and large. Comes standard with molded zipper, wont get fouled up by dirt and dust. Dust cover for the zipper for greater water resistance. Enclosed seams for easy cleaning. Easy grip zipper pull. 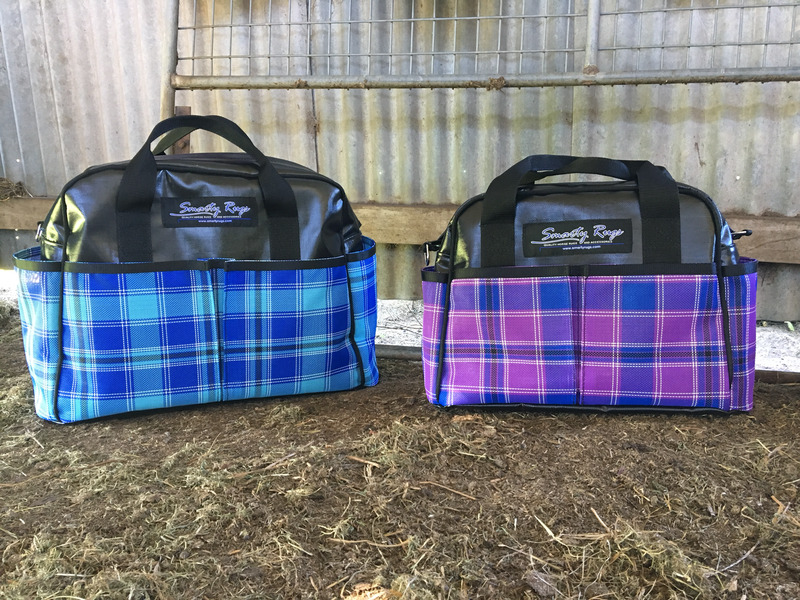 Large pockets on the outside, great for grooming equipment or tack. Choose basic design or message us to customise for your individual needs.